Highlight's Junhyung connected with some artists from his former company, Cube Entertainment. 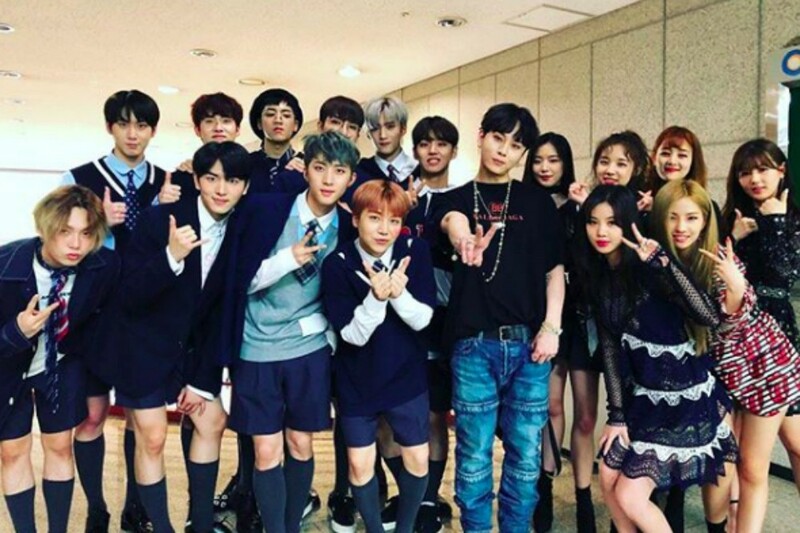 Junhyung recently uploaded a photo on Instagram of himself with artists from Cube Entertainment: (G)I-DLE and Pentagon. Based on the photo, it appears that the former and current Cube artists were able to greet one another during a music show. With the photo, Junhyung wrote, "Wow, it's Pentagon. Wow, it's (G)I-DLE. Wow," showing love towards his hoobaes. Check out the photo below! Would you like to see Highlight collaborate with either Pentagon or (G)I-DLE sometime in the future? ?? ????? ?? ????? ? ?